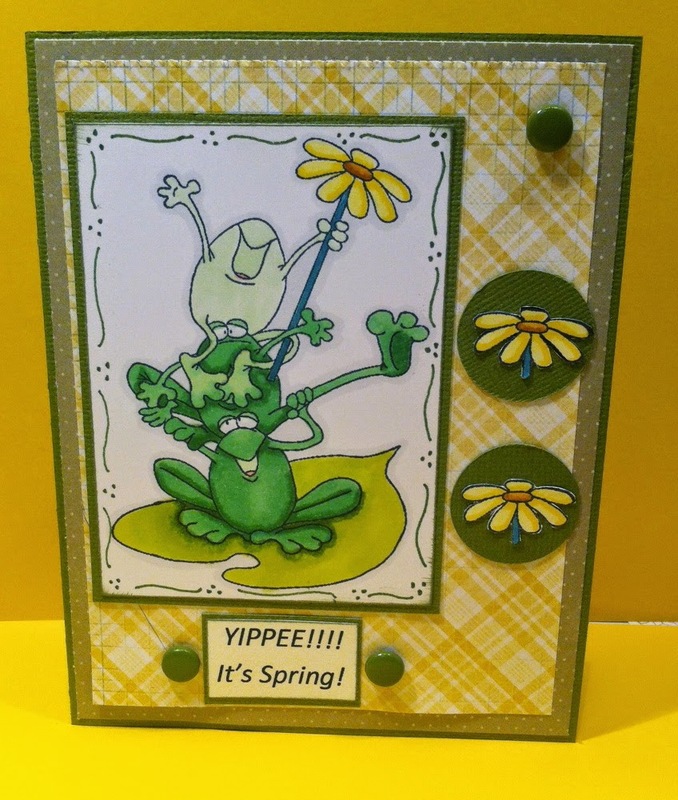 Kards By Krash Scrapper: YIPPEEE !!!!!! After an unseasonably cold and long winter, it's nice to see the snow melting and the first signs of spring! I am not a fan of cold or snow but the positive side to that? More time for card making. I made this card for High Hopes Rubber Stamps Challenge #213 Hop Along. I was glad my stamp order came before time on this challenge ran out! Really great card! Love how you used the flowers in the circles! Thanks for joining us at High Hopes!